The www.YourMenopauseType.com website has been merged into www.YourHormones.com. Menopause is a time of transition and change in a woman’s life that results in permanent ending of reproductive fertility and the end of monthly menstrual cycles. This change typically occurs when a woman is in her late 40s to early 50s. By definition, menopause is recognized when a woman hasn't menstruated for 12 months. If a woman misses a few periods, then has a period, then menopause is not considered to have taken place until 12 months after that last period. The hormonal changes that occur with menopause can be different in each woman. In some women estrogen levels drop dramatically, in other women the estrogen drop is not as severe and may actually stay adequate enough to be beneficial for the rest of the woman’s life. The same can occur with progesterone, it may become quite low, or it may remain adequate enough to be of benefit to the woman – even though she will no longer have the higher amounts of progesterone that happen in the second half of the month. Likewise, testosterone levels can become low. In some women the testosterone can actually become elevated. These different possibilities of hormone changes were first presented in my book Discover Your Menopause Type. Before discussing the different types, let’s focus on the transition and change. Perimenopause is the time “around menopause”. It includes the 12 months that have to pass before we can say that menopause has taken place. In addition, it can also include those years leading up to menopause where symptoms related to menopause start to appear. During perimenopause a woman may start to experience hot flashes, night sweats, changes in sleep, mood changes or other symptoms for over a year – or even years - before her menses even starts to change. During this time of transition, hormone production and hormone function is very variable. Months of severe symptoms may be followed by months that are symptom free. The menses can become quite irregular, with some cycles becoming shorter and some becoming longer. So during perimenopause a woman who has always had 28 day cycles may start to have shorter cycles and or longer cycles. Perimenopause can last from as little as the 12 months required to make the determination that menopause has actually taken place as long as five years of irregular cycles and fluctuating symptoms. A woman is in perimenopause until she has not menstruated for 12 months. The various possibilities of hormone changes typically become more evident during perimenopause. For instance, some women start to notice the increasing testosterone and will have acne and oily skin appear, while others experience a dramatic drop of testosterone and experience decreased motivation and a loss of libido. The perimenopause is when the uniqueness of hormonal changes becomes manifest. It is the time to start using the protocols based on each Menopause Type®. Postmenopause is 12 months after the last menstrual cycle. So, if it has been 12 months and one day since her last menses, then a woman is, by definition, postmenopause. Menopause is what happened 12 months ago. She can now say, “I went through menopause a year ago.” A postmenopause woman can still experience hot flashes, night sweats, changes in sleep, mood changes or other symptoms for many years after menopause has occurred. The intensity of symptoms will vary depending upon which hormones changed, and how much those hormones have changed. It is very important that a woman identify which hormone changes have taken place and what her new hormone pattern is. Does she still have enough progesterone, but low estrogen and low testosterone? Different hormone changes are associated with different symptoms and different risks for disease. The hormone patterns that occur will have an effect on a woman’s health and quality of life for the rest of her life. 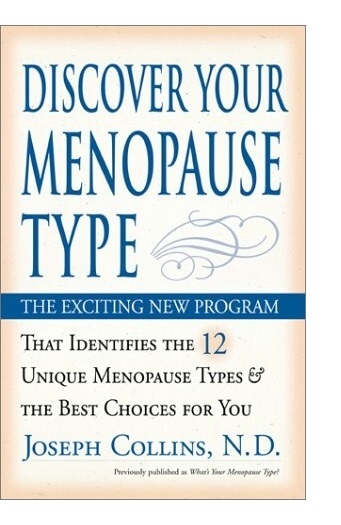 My book “Discover Your Menopause Type” was written to promote personalized and individualized care of women. A one-size-fits-all approach to menopause is never a good idea. "Menopause is a transition that may show up in many different ways. There are actually 12 different Menopause Types®. Treat each woman according to her own Menopause Type®. How much can menopause vary from woman to woman? In menopause we now recognize that some women may have low estradiol, while others continue to always have adequate amounts of estradiol. We also recognize that while some women truly are deficient in progesterone, other women continue to always have adequate amounts of progesterone. We also realize that while some women have testosterone deficiency, and others have adequate amounts of testosterone, there are some women who have excessive testosterone levels. These various patterns are discussed in Discover Your Menopause Type. These patterns can persist into the seventh decade of life and beyond. Estradiol & progesterone are both adequate. Estradiol & progesterone are both deficient. To Discover Your Menopause Type® : Take the Menopause Type® Questionnaire now (free). By reviewing the chart below, you can see the twelve Menopause Types® as well as the Hormone Specific™ Formulations that are best for each Menopause Type®. Click on the chart below to go to the 12 Menopause Type® Protocols. The management of menopause first required recognizing what Menopause Type® a woman is experiencing. Treatment choices must include diet, lifestyle, nutrition, herbs, hormone precursors and natural hormones. For herbal therapies, specific hormone health formulations can address the primary hormone imbalances of each Menopause Type®. Secondary hormone health imbalances such as poor thyroid function, and/or poor insulin/glucose function can be also be addressed by hormone health formulations designed for those dysfunctions. Protocols for each menopause type® and the protocols for specific menopause symptoms.